In my group of friends, I am decidedly not the best baker. While my roommates nonchalantly whip up Oreo-crusted cheesecakes and white chocolate raspberry cookies, I happily assume the role of taste-tester or batter-off-the-spoon licker and let them do their thing. I’m far less impressive when it’s my turn to make dessert — my chocolate chip cookies from a mix pale in comparison to most of their creations. This is the most deliciousness for the least effort. Whip up brownie batter and cookie dough (both can be from a boxed mix or from scratch). Put the brownie batter in a pan as usual, and then glob the dough on top. Using a knife (or your finger), swirl it around a bit until it covers most of the pan, and bake from 30-35 minutes. The result will be a hybrid brownie/blondie and the world’s best combination of flavors. A variation on two great things: cookies and banana bread! Add one cup of ripe bananas to your cookie mix; the riper they are, the more flavor you get. And hey, fruit in your dessert means they qualify as healthy… sort of. If making dough from scratch, combine butter, sugars, eggs, and vanilla until mixed well. 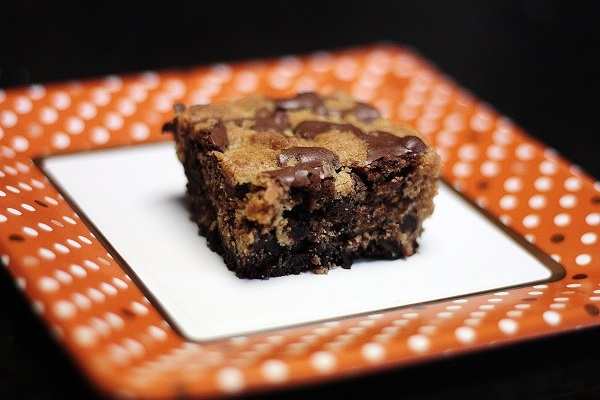 Slowly add a mixture of flour, baking soda, salt, and chocolate chips until combined. If using cookie mix, prepare the dough as directed and stir until mixed well. 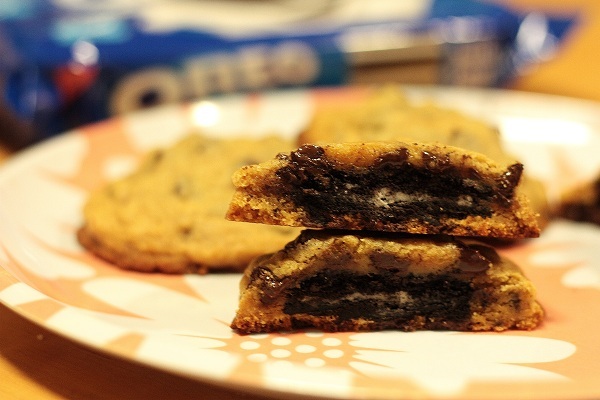 Using a cookie scoop (or your hands), take one scoop of cookie dough and place on top of an Oreo. Take another scoop of dough and place on bottom of the Oreo. Scoops should be around 1 inch in diameter. Seal edges together by pressing and cupping in hand until Oreo is enclosed with dough. Place onto a lined baking sheet and bake cookies 9-13 minutes or until cookies are baked to your liking. Let cool for 5 minutes before transferring to cooling rack. Enjoy! This looks absolutely amazing. Saving this for the future!! Uhm, amazing! Those Oreo stuffed cookies are just too much. Love the banana cookie chocolate idea, too!